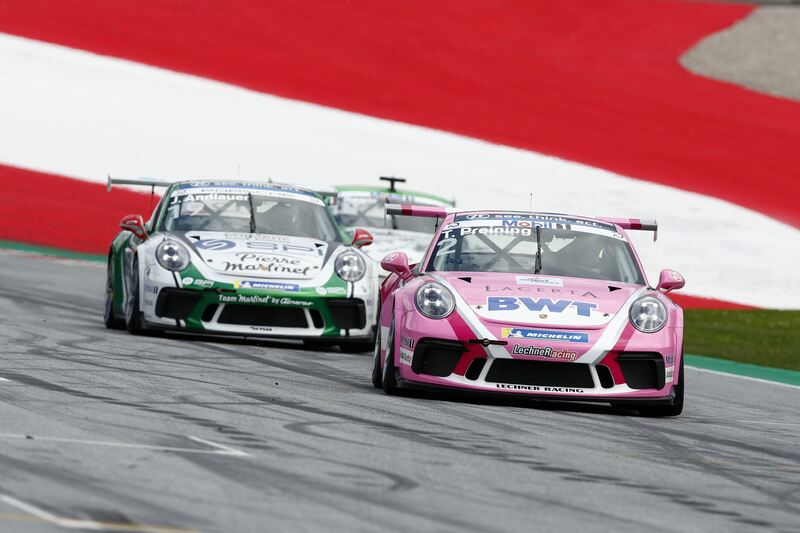 The third round of Porsche Mobil 1 Supercup 2018 was run at the Red Bull Ring in Austria today, in stunning sunshine. 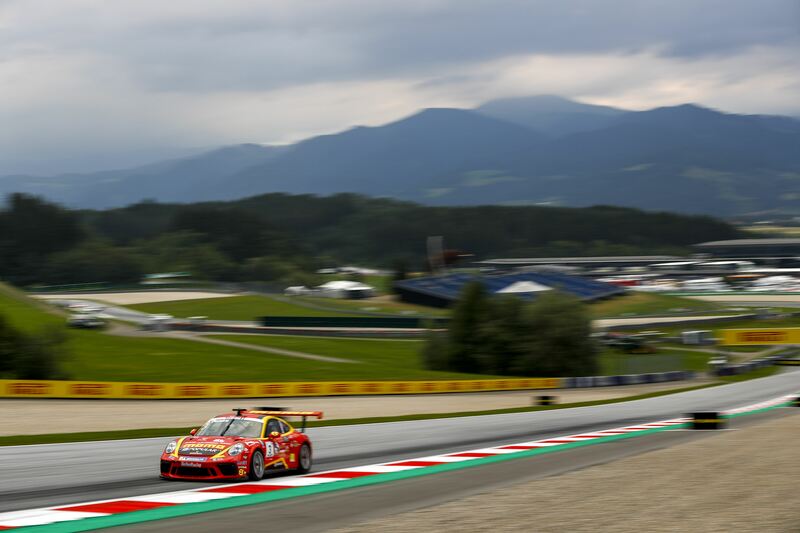 The Porsche Junior drivers Thomas Preining and Julien Andlauer grabbed the two first two positions on the starting grid, and that’s the first time for Preining to qualify that far up the grid. Andlauer’s teammate, Florian Latorre started P3. Championship leader Michael Ammermüller started all the way back in P6, right ahead of Mikkel Overgaard Pedersen, while Nick Yelloly, P2 in the Championship, started 8th. It was even worse for P3 in the Championship, Jaap van Lagen, who made a huge mistake in the Qualifying, but not showing up at the weighbridge. So he lost all times from the Qualifying, and had to start at the very last position. So there was very little chance for him to score points, starting P32! Andlauer got the best start and took the lead going into Turn 1. Preining also lost second to Latorre in Turn 3, but Preining managed to stop his fall, by locking into P3. The Safety Car was called onto the track when Roar Lindland went into the gravel, all by himself. He had a contact with Khalid Al Wahaibi earlier on Lap 1, which had made some damage to the car, and he ended up losing the rear end. That resulted in a few laps behind the Safety Car. Philip Hamprecht spun by himself, but luckily all the other drivers managed to avoid him. Dylan Pereira and Zaid Ashkanani had a brush on the straight, but both could continue. Preining tried to overtake Latorre around the outside, and then back to P2. There were a lot of battles in the midfield, and that was costly for a driver like Mikkel Overgaard Pedersen. The young Dane had started P7, but dropped to P10 after a contact on the first lap, and dropping even further, after more contact. He was out of Top 20 at one point, but managed to battle his way back to P20. Ammermüller was also going towards the front of the field and had a close fight with Ashkanani. Larry ten Voorde wanted to join in too, and ran side by side with Ammermüller. Preining started attacking leader Andlauer, and tried to outbrake him but couldn’t make it past. Preining gave it another shot with three laps to go, but he outbraked himself and ran a bit too wide over the edge of track. He had actually taken the lead, but gave the position back to Andlauer to not receive a penalty. One lap later he managed to get on the inside of Andlauer, and managed to drive past the French driver going into Turn 4. Thomas Preining then went on to take a solid win ahead of Julien Andlauer and Florian Latorre. Dylan Pereira and Nick Yelloly finished 4th and 5th respectively, and thus moved a lot closer to Michael Ammermüller, who only managed a 7th position. Jaan van Lagen lost many points and positions, since he just missed out points finishing P16. 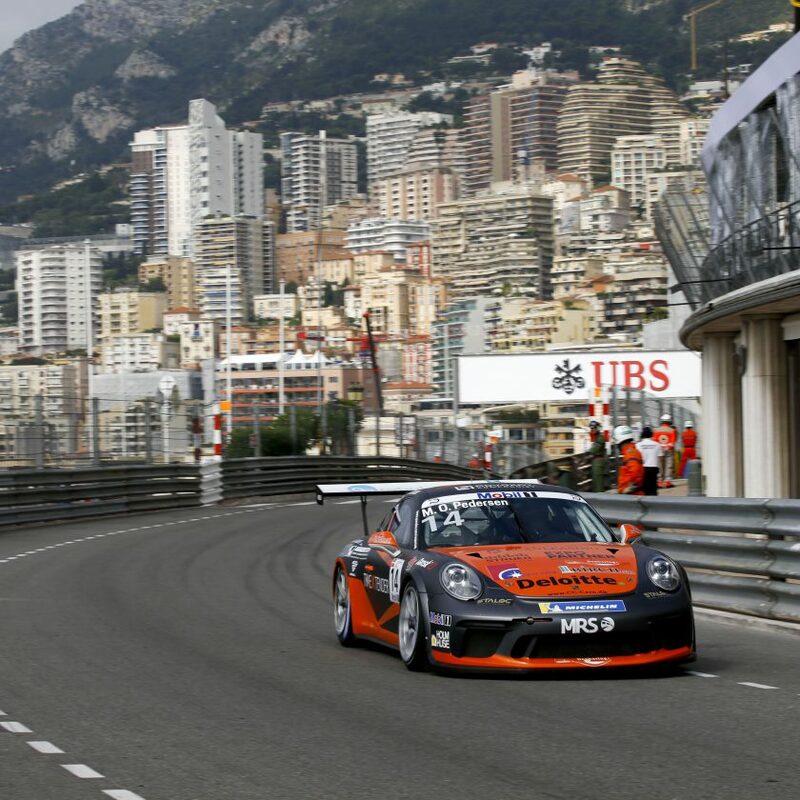 The Porsche Mobil 1 Supercup will be back on track again next week, when they race at Silverstone in Great Britain.